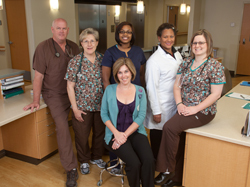 The staff of Baylor Scott & White Orthopedic and Spine Hospital – Arlington is highly trained professionals that have chosen to focus their careers on the service-oriented environment of orthopedic and spine care. Our team of professionals provides the care we expect our own families to receive when they require orthopedic or spine surgery. For current positions available, please visit our career page.